Stepping Stones campers are nursery age or entering kindergarten. 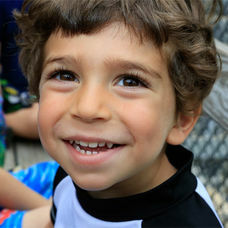 Our Stepping Stones program is built for young children. Throughout the summer, campers gain competency in skills and confidence in themselves. 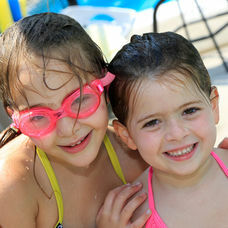 Each child is a member of a small group that is designed to promote friendships and individual growth. 3 Year OldsOur Stepping Stones 3's campers have a half-day program in a small co-ed group. 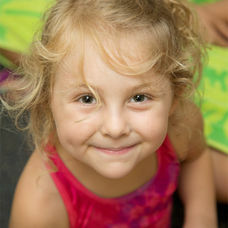 4 Year OldsWe offer a mini-day and full-day program in small co-ed groups for our 4 year old campers. KindergartenWe offer a full-day program in small groups by gender for our Kindergarten campers.